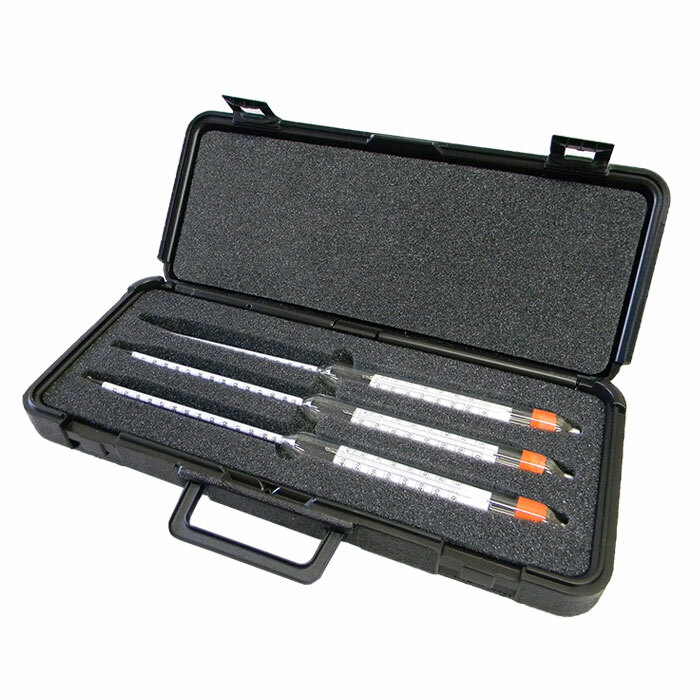 For carrying three 15 inch hydrometers. Case is made of plastic with body section felt lined. Ends of case have felt cushions. Its outstanding feature is the spring loaded hinge system that holds the lid open at any angle greater than 30 degrees, but will keep the case closed at any angle less than 30 degrees and under spring pressure. Easy to open, lid can be folded back 180 degrees. The grooves built into the body make it easy to pick up. This eliminates the need of a separate handle. Dimensions: 16-1/2″ x 4-3/4″ x 2″ (includes hinge). Wt. 14 oz. 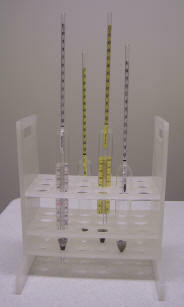 A secure, convenient way to organize and protect your certified hydrometers. This case is fabricated from wood, with leatherette covered exterior and velvet lined interior. 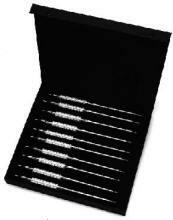 Holds ten hydrometers of up to 15″ (385mm) length.